Voters will choose a Montezuma County commissioner to replace Republican James Lambert. The candidates, from left, are Democrat Mary Beth McAfee, unaffiliated James Jesse Sattley. unaffiliated Steve Chappell, and Republican Jim Candelaria. CORTEZ – Montezuma County participation in the Nov. 6 midterm general election is already higher than the 2014 midterms, Clerk and Recorder Kim Percell said. By midweek, the ballot count was more than 400 ahead of the returned ballots from the 2014 general election. By Wednesday, 5,857 ballots had been turned in. On Tuesday alone, the office received 1,299 ballots. It is too late to mail ballots, so they must be dropped off at the Montezuma County Clerk’s office, at 140 W. Main St.
On Election Day, the clerk’s office will be open from 7 a.m. to 7 p.m. Also on Election Day, ballot drop-off and voter services will take place 7 a.m. to 7 p.m. at the Dolores Public Library, 1002 Railroad Ave., and Mancos Public Library, 211 E. First St. In Towaoc, there is a 24-hour ballot box at the Ute Mountain Ute Tribal Headquarters available for ballot drop-off until 7 p.m. Tuesday. At Mancos Town Hall there is also a 24-hour ballot box, and one is being set up at Dolores Town Hall as well. Signature verification judges have begun processing the ballots turned in so far, and by midweek they had processed more than 3,208 ballots. Also, about 100 overseas ballots were sent out for those serving in the military or citizens who out of the country. In Montezuma County, only one race is contested. Voters will choose one county commissioner from four candidates. In the order placed on the ballot, the candidates are Democrat Mary Beth (MB) McAfee, Republican Jim Candelaria, and unaffiliated Steve L. Chappell and Jesse James Sattley. 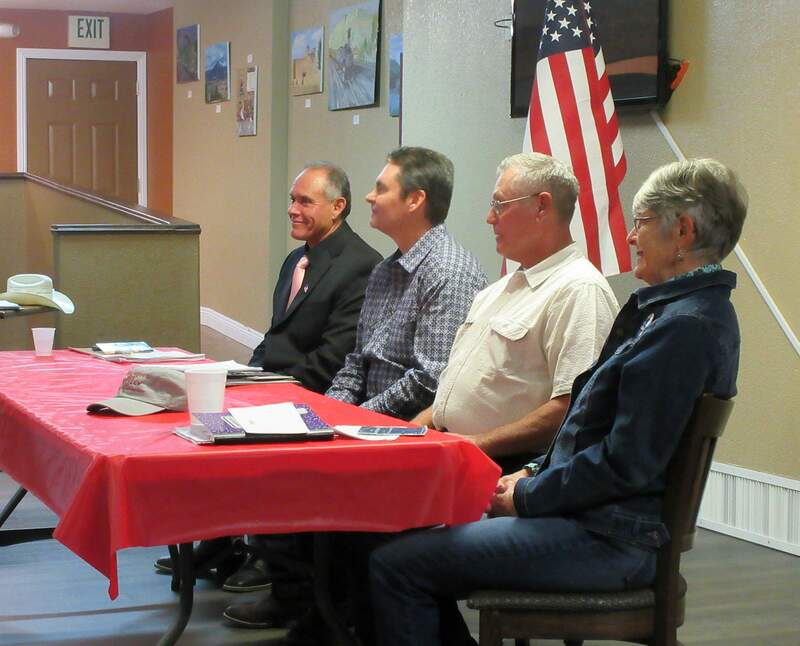 The commissioner candidates participated in six public forums in the past two months. Also locally, voters will decide whether the 22nd Judicial District Attorney office should extend the term limit from two consecutive four-year terms to three consecutive four-year terms. Voters in the Lewis-Arriola Fire Protection District will cast votes on a proposal to raise the department mill levy by 1.41 mills, which if passed would bring the total mill levy to 4.5 mills. Several Montezuma County officials seeking re-election are unopposed: Sheriff Steve Nowlin, Clerk and Recorder Kim Percell, Assessor Leslie Kennedy Bugg, Surveyor Ernest Maness and Coroner George Deavers. Ellen Black is running unopposed for treasurer.